On Monday Sauerland´s matchmaker Hagen Doering got the call from Hamburg that Taras Bidenko, the opponent for IBF I/C heavyweight champ Kubrat Pulev, had been cut in sparring and had to withdraw from fight, set for the undercard to Arthur Abraham vs Pablo Farias and Robert Stieglitz vs Henry Weber January 14 in Offenburg. In on a little more than a week´s notice comes experienced Brit Michael Sprott - last seen in Germany losing a fight for the EBU title against Alexander Dimitrenko. On Pulev´s less than stellar performances in his last few fights and especially against Travis Walker Doering said he was relatively satisfied. -Against Walker Kubrat was fighting a 12-rounder for the first fight and was worried about lasting the distance. Another thing is that he in Walker had an opponent who only came to win by knockout and didn´t worry about winning rounds and that makes it difficult. 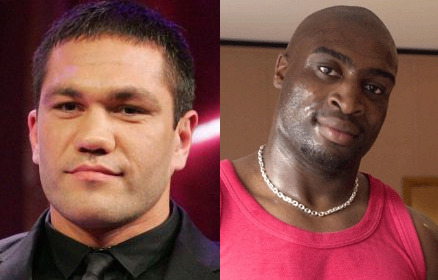 In Sprott the undefeated Pulev, 14-0, gets a tough test. Michael tends to wait a little too much in his fight but have fought at a high level for a long time always doing well despite a mixed record (36-17).